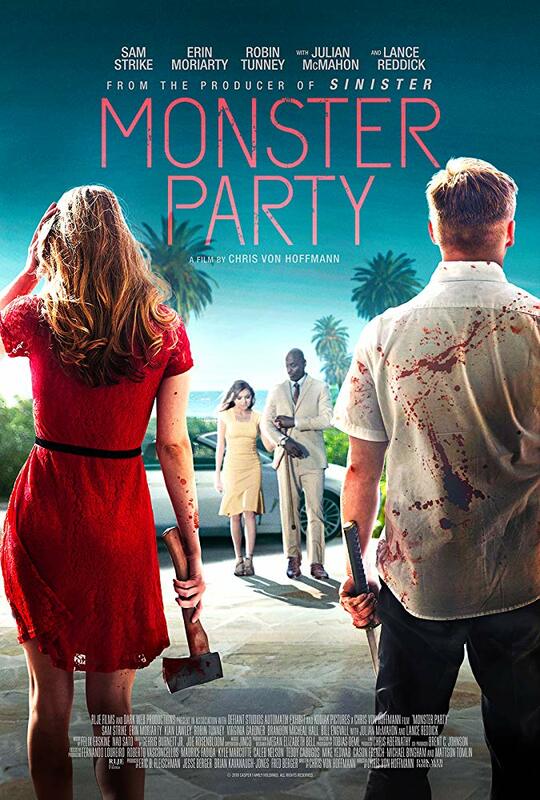 RLJE Films will release the horror/thriller film MONSTER PARTY on DVD and Blu-ray on December 18, 2018. Written and directed by Chris von Hoffmann, MONSTER PARTY stars Julian McMahon ("Nip/Tuck"), Robin Tunney (The Craft, “The Mentalist”), Sam Strike (Leatherface), Erin Moriarty (Blood Father), Lance Reddick (John Wick), Brandon Micheal Hall (“Search Party”), Virginia Gardner (Halloween) and Diego Boneta (“Scream Queens”). RLJE Films will release MONSTER PARTY on DVD for an SRP of $27.97 and Blu-ray for an SRP of $28.97.